The mission of the Path of Sincerity is to help people turn mindfulness into a lifestyle. The mindful life is an alternative to the rat race, the party life, looking for happiness “out there,” or going along with whatever your parents, friends, or culture thinks is best for you. It’s a pathway to finding fulfillment and joy right now, by way of coming into presence, deepening your self-understanding, opening your heart, and living with a greater sense of purpose. As I share in the video, the path of mindfulness is a lot about getting clear on where you are, where you’re heading, and stepping more fully into who you are right now – in other words, mindfulness and sincerity are inseparable, like two minnows swimming in tandem! For those that live in Portland, Oregon, I lead a weekly buddhist meditation community, and also put on regular courses and workshops. I also run a coaching & mentorship program with people both locally and through Skype – the basic intention is to work with you collaboratively, learn where you are, where you’d like to go (especially more into the present! ), and to help you transform your life with mindfulness. Wherever you are on the journey, welcome here! 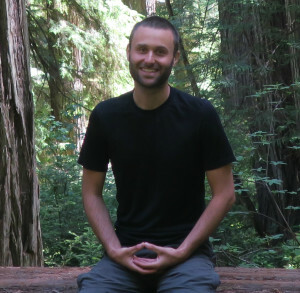 A former Buddhist monk, David Sudar is now based in Portland, Oregon as a meditation teacher and mindfulness coach.